Midwest Gaming Classic an annual show that is all about classic video games and computers. It was pretty crowded so I tried to get as many games in the video as possible but it was cramped so this is the best I could do. 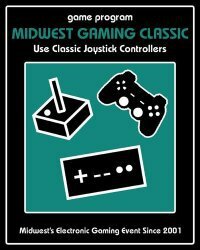 All in all it was a great time and I would highly recommend the Midwest Gaming Classic to anyone who enjoys classic and modern video games and pinball machines. There was much more to do than just play games including arts and crafts for families, a huge video game/computer museum, giant vendor sales areas with all sorts of games/systems and merchandise for sale and pinball tournaments.